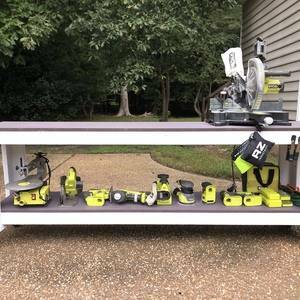 Using Shanty2Chic’s awesome plans, I was able to create a new workbench to store my Ryobi tools. Taking my business off the ground and being able to roll out of the garage to get work done is great. I even painted it a fun Plum and White for contrast. 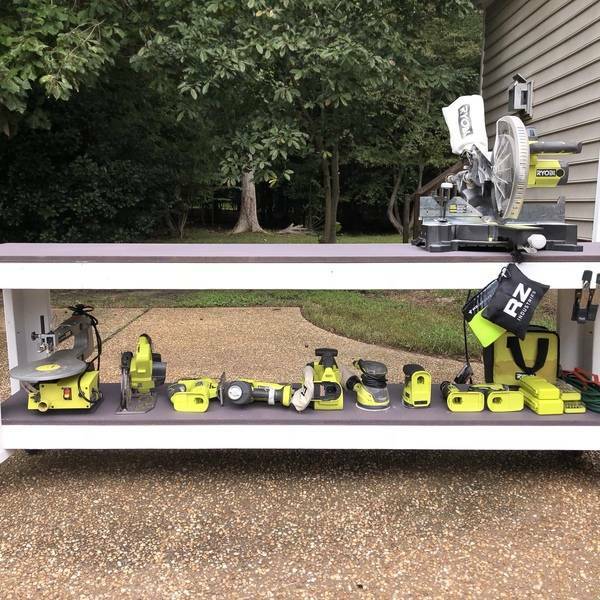 Really makes Ryobi look great, if you ask me.